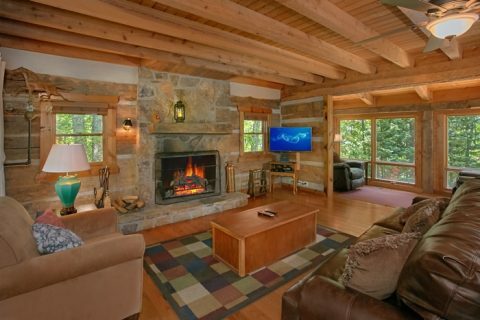 Select this private Gatlinburg cabin rental for fun in the Tennessee Smoky Mountains during every season! 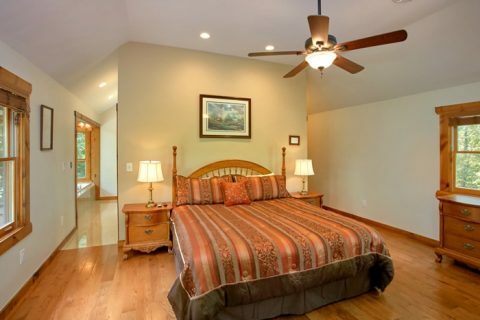 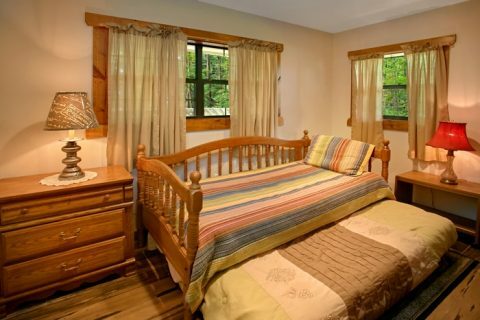 "4 Seasons Gatlinburg" is a 3-bedroom cabin in Gatlinburg that sleeps up to 6 guests and offers a great secluded setting close to all the adventures of the Smokies. 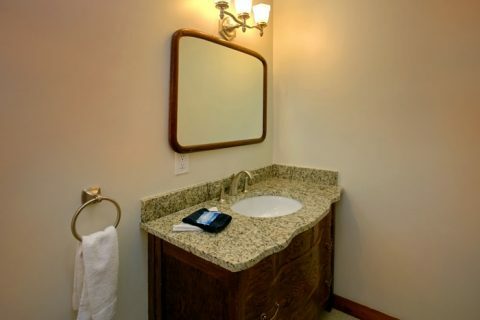 "4 Seasons Gatlinburg" is newly renovated and features the best cabin comforts including new furnishings and top-notch kitchen appliances. 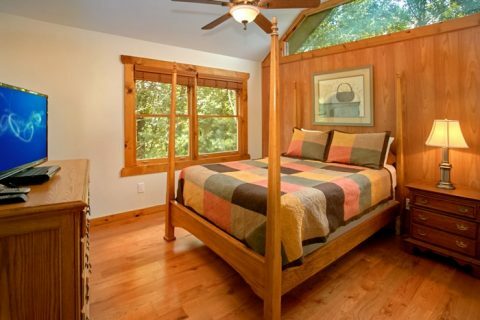 This stylish cabin perfectly blends an authentic cabin look with a chic, comfortable interior. 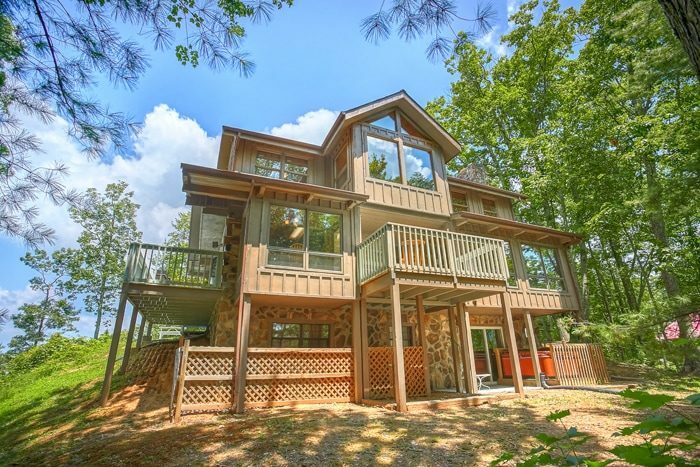 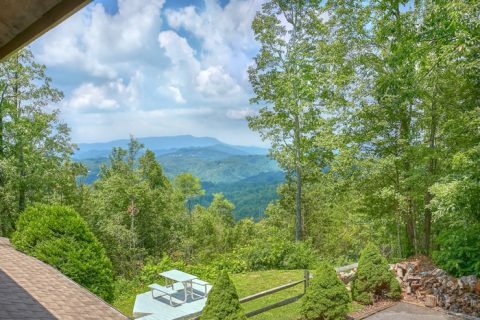 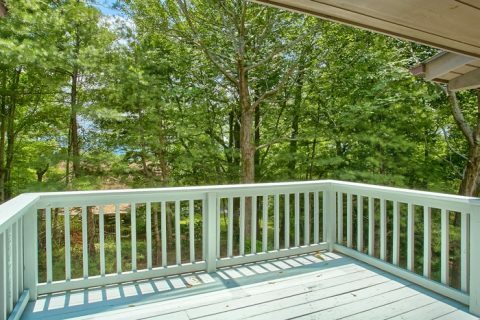 Additionally, this Gatlinburg rental now has a beautiful view of the mountains! 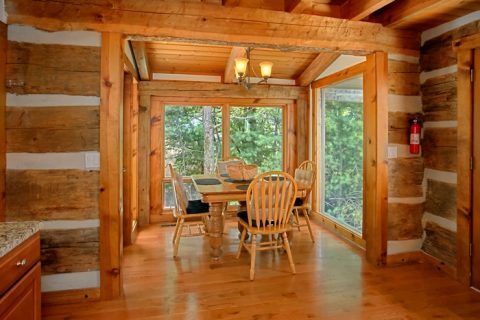 This luxury getaway provides three wood-burning fireplaces for those chilly winter nights and a cozy sunroom for taking in the beauty that surrounds the cabin year-round. 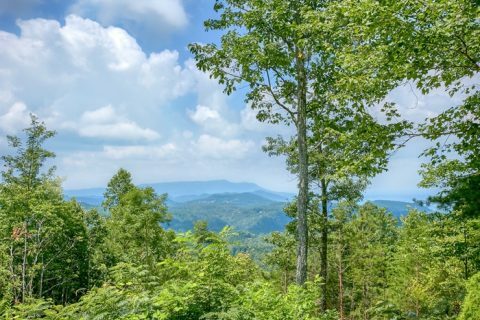 Minutes from downtown, family members can enjoy the nearby attractions, shopping, and restaurants, such as Ober Gatlinburg Ski Resort. 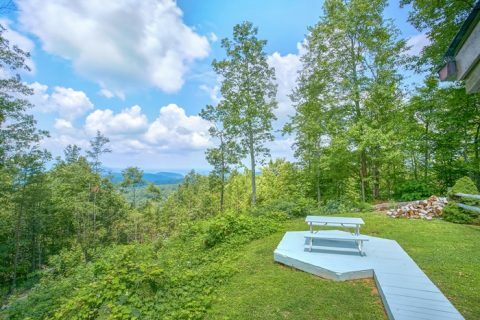 With its shopping, eateries, and a year-round indoor ice skating rink, it's a mini-mall high up in the Smoky Mountains! 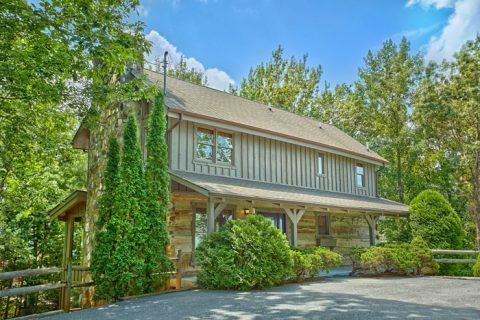 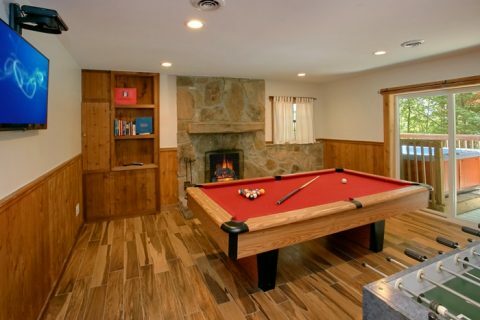 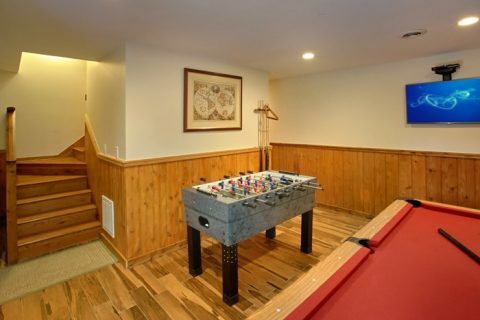 Return to this private Gatlinburg cabin rental in the evening to keep the fun going with games of foosball or pool in the game room or relaxing in the hot tub. 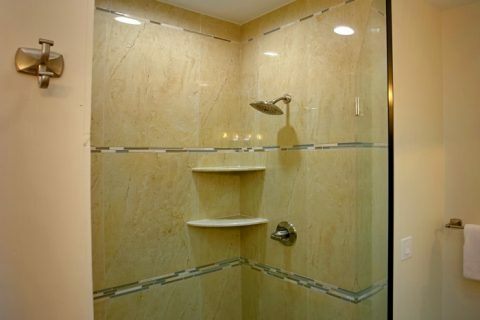 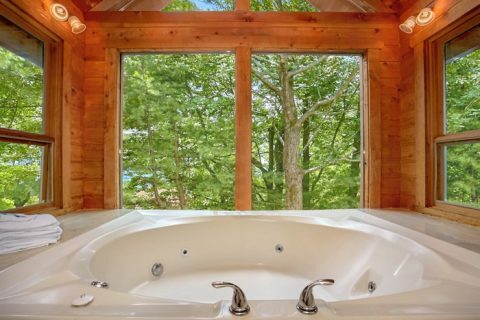 With the kids occupied, Mom and Dad can capture a few fleeting moments of solitude in the master bedroom's bubbly Jacuzzi tub while looking out on beautiful mountain views. 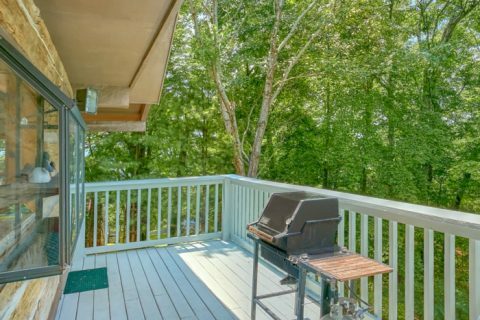 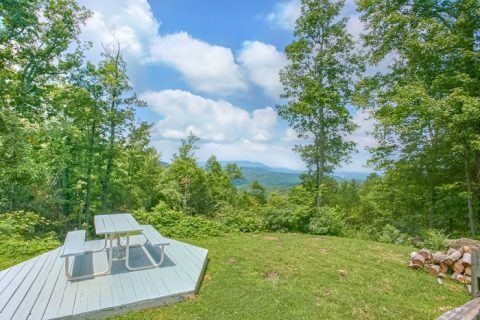 Take advantage of the cabin's other amenities: a fully-equipped kitchen for delicious country breakfasts, a gas grill for summer cookouts with the family, wireless Internet, and a large deck perfect for taking in the scenery or reading a good book. 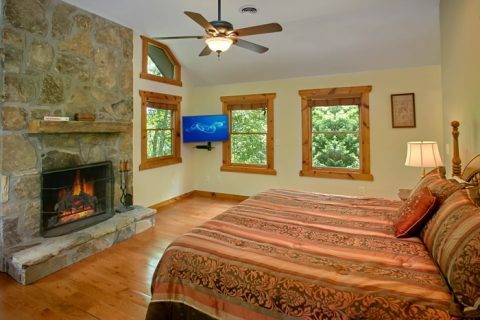 "4 Seasons Gatlinburg" provides the perfect setting for developing lasting memories in the hearts of those you love most in the seclusion of the mountains. 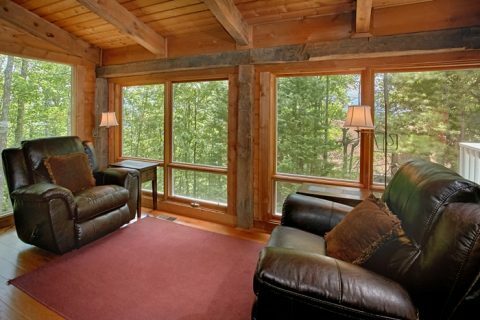 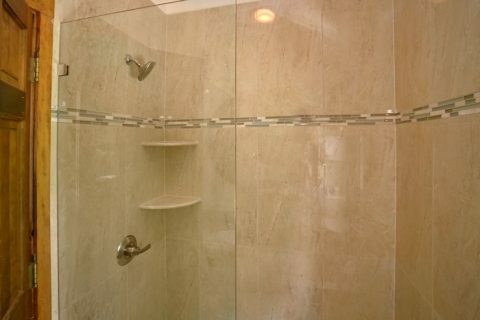 Best of all, you can enjoy this quality time in your own private Smoky Mountains cabin rental! 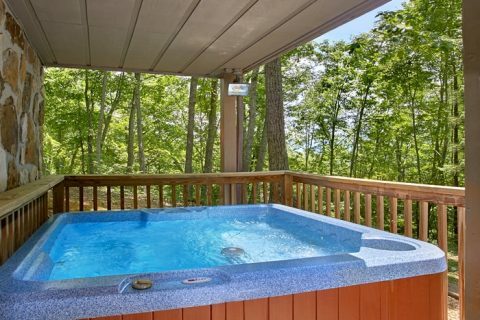 Don't forget, when you book this spectacular private Gatlinburg cabin rental online with Cabins USA you get an immediate Cabin Discount!